Maribel has built an extensive network within the Travel and Tourism industry public and private sector, accumulating over 18 years of sales, marketing, communication and commercial experience in Europe. Commercial Director and Board Member for Travelodge Hotels Spain from 2008 to 2014, serving as Council Member of Madrid Hotels Association (AEHM) and  the Tourism Commission to promote Madrid as a destination. Prior she spent 11 years in the aviation industry, gaining extensive experience in all aspects of commercial aviation. 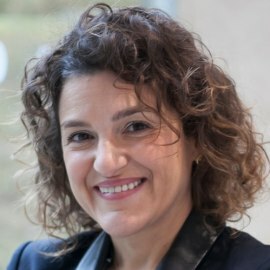 She managed the introduction of low cost airline operations into the Southern European market for: Virgin Express, Go-Fly, EasyJet and Ryanair. At Ryanair supervised the opening of 21 airports and over 190 routes across Europe, setting up multiple operational bases on the continent. She also worked for GB Airways, franchise of British Airways in Spain, Portugal and France. Executive MBA at ICADE Business School and Industrial Psychology Degree from University of Salamanca. She just finished a Senior Executive Program for Travel & Tourism at IESE & JSF.